Weeks before I arrive on writing this post, I came across this person popularly known as “The Son of Hamas”. Hamas is an Islamist Group in the Middle East. Many regards them as terrorists but on their own rights and beliefs, they exists to liberate Palestine, including modern-day Israel, from Israeli occupation. Before he’s a leader of Hamas. He quitted and now he’s into writing and public speaking taking his personal stand against the extremism done by his former organization Hamas and his campaign for better peace in the region in light of political correctness. You can search about him online - Mosab Hassan Yousef. Hamas’ beliefs, in Mosab’s point of view, is wrong. A belief, once it has been engraved in the people’s mind, is difficult to change, that it sometimes takes force (and time) for someone in authority to change it. 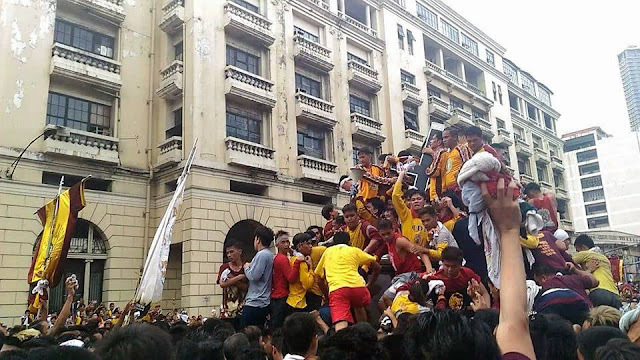 At the height of "Traslacion", or the feast of the Black Nazarene, Filipinos mostly male are fighting for spaces just to keep themselves closer to the carosa of the Jesus Christ's image, believing that doing so can have a miraculous effect on their lives. In the Filipino people’s mind, for example, that belief that Catholicism is the religion that would uplift their dignity and quality of life, is something permanent - and therefore irreplaceable. I’m neither in the position to say that a religion is good or bad, nor has the right to say that Filipinos are wrong or correct about their choice. You yourself can stand on your own religious belief. There are Filipinos who chose to become Muslims, Protestants, and Born Again Christians. It is their belief. I am a Christian Catholic by baptism but I have this belief that there is a beauty we must see in all religions. 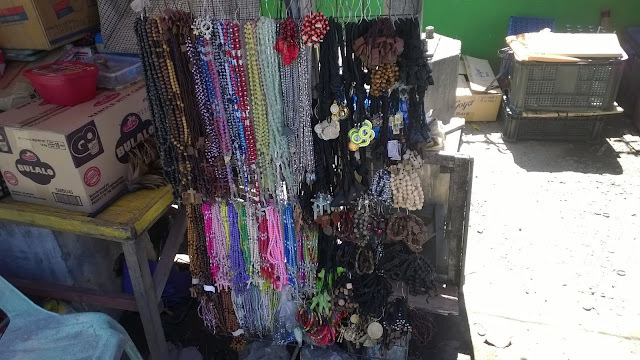 As a Catholic, Filipinos are used to having rosary, amulets, and pendants that resemble closeness to God. It is a belief system introduced to us by the Spaniards centuries back. And I am here to offer a deeper understanding on why beliefs (superstitions in some perspective) of such kind exist in the country and what impacts or effects does it bring to the Filipinos. I will also tackle beliefs of various kinds including religious beliefs and practices in this post. The primary goal is to create awareness. Mostly in the provinces, locals believe that “albularyo” or faith healer can cure the sickness of one. In fact, the practice even goes far beyond the traditional way of healing by means of medicinal plants and the natural therapy of treating patients. That ability to heal patients who’s under the influence or possession of bad spirits or earthly creatures is something what we Filipinos seriously believe that of an albularyo. Through rituals, prayers, and sermons, a faith healer can wipe out bad spirits possessing one’s physical body. Call it a ghost, a demon, a satan, a dwarf, a “kapre”, or a devil, through the century old practice of faith healing in the Philippines, these creatures can be made to leave one’s temple. At the far distance, you'll see a woman selling healing oils. These oils are oils also used by "albularyo" or faith healers in the Philippines. It is believe that these oils can cure different sickness. Let me share my first-hand experience and why I chose to believe on selective type of faith healers. In 2016, I was diagnosed with a heart-related problem, which later on was proven to be a false diagnosis by a licensed doctor. I was hospitalized for several days and was then discharged with no clear findings about my heart issues. My father told me that we can consult with Brother Rey, a well-known faith healer from our province. 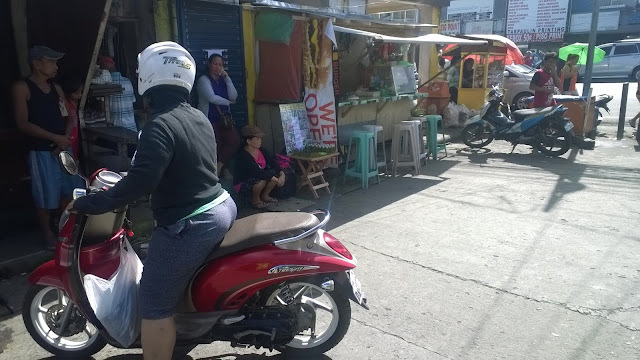 After everything is finally scheduled, we went to Cuenca, Batangas and there I met the “albularyo”. Here’s what happened. So Brother Rey called me to sit on the chair, take off my shirt and relax. I can hear him reciting ritual prayers, and from time to time speaking with me and his visitors, while massaging my body with fragrant oils and this stick made of wood. The other patients are just there patiently waiting for their time to be healed. 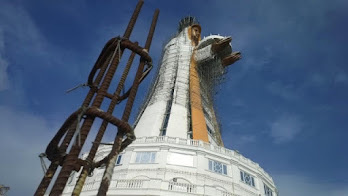 The room is filled with statue of saints, Mama Mary, Jesus Christ, portraits of them, and prayers written on walls - which is not at all a strange view for me. To cut the story short, after about ten minutes, I was breathing quite better compared to when I arrive that morning. Brother Rey frankly told me, “You have no heart problems”. That was a sigh of relief for me, especially to my parents, but here’s the thing. Having been living in the city for years, I still want doctors to verify my real health condition. We leave the place with me having this healing medicine that I need to mix with water and drink three times a day. To be honest, I felt that I was healed by my faith to God that time, through Brother Rey. Then a few months later, after going to Philippine General Hospital for an angiogram procedure, the doctors verified that I have no any heart-related problem. What I have, or used to have, is intense hyperacidity, a stomach problem. What I believe in (and proven) is that faith healers, a few of them on some occasion, can be better than professional medical practitioners. Would there be any reason not to believe on faith healing? Well, let me tell you the circumstances Filipinos have with them, and why many choose to believe. Faith healing, as the words speak for itself, is faith-to-God based. That is in fact the claim of most faith healers here in the Philippines. Would you be surprised if I tell you that the Catholic Church and some other religious groups are against this practice? Well, that’s the truth in this land. For a reason, the church believes the faith is not to God, but to the demons. Also, faith healing is a cheaper alternative to hospital treatment mainly because medicines are from plants, and those word-of-mouth prescriptions are faith-based and therefore has no per hour or per visit rate. Faith healing in the Philippines is depicted with symbolism of faith in God. It is common to see statues of Mary, the Sto. Nino and Jesus Christ in most faith healers home or healing houses. 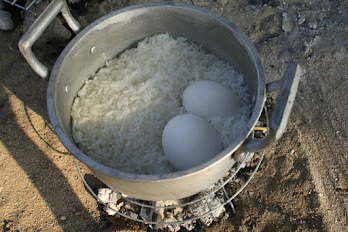 For the majority of the lower class Filipinos, living in a $1 or $2 income a day, who’s not to go with this option? And about the bad spirits possessing someone else’s body, you won’t be scared until you experienced it. Faith healers can let them go. It happens in this land, it could be happening around the world as well. The Voodoo and witchcraft rituals are the closest resemblance. In our case, an “albularyo” having those amulets or anting-anting or “pangontra” is the nearest person to tap into. Majority of the Filipino people believes in faith healing. Even the rich people taps the services of an “albularyo”. True. And did you know that albularyo comes with various expertise. There are albularyo good in treating snake bites and dog bites. Some albularyo are really into fighting bad spirits, some even call them “ispiritista”. There are albularyo who are just focusing on traditional ways of healing, using herbal medicines and oil extracts to cure patients. There is the “hilot” or those who are after caring pregnant women from pregnancy days to delivery. Well, there are obviously “fake” albularyo, claiming they can operate a patient’s body and kills the disease. Many albularyo choose to live simple, while others are living their lives to luxuries. When I was a kid, I can still remember this cigarette wrapper with some characters written on it being pasted into my forehead and other body parts. We used to go to the albularyo at least once a month when I suffered this bone misalignment on my shoulder. Albularyo can help in certain ways, that is for sure. The quick remedy for “bati” or “balis” I can recall that was suggested by an albularyo is to wrap three or five leaves of “Atis” on my forehead. With those experiences, I can even say today that Philippines government should carefully consider legalizing this practice, for it helps the poor Filipinos. 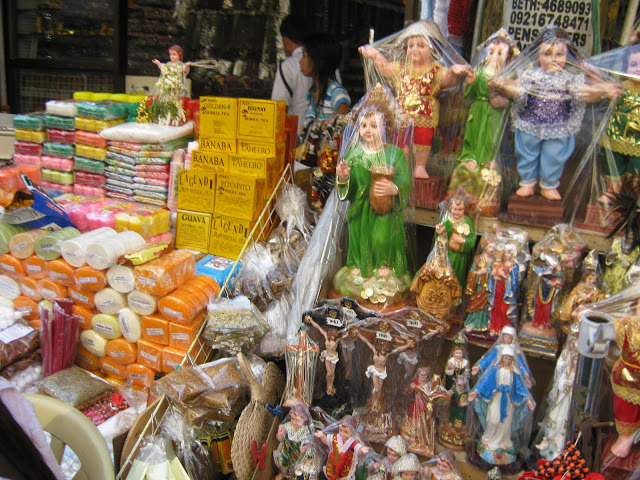 Philippines is home to hundreds or about thousands of “paniniwala” or beliefs that are beyond the comprehension of many races and nationalities. I will cite a few more common beliefs that may make you think twice. When a family member dies, there is a plethora of beliefs Filipinos used to observe. Among of those are the beliefs that family members are not allowed to take a bath where the wake is being held, that they need to place a chick on the coffin if the cause of death is murder, that kids should be passed to and fro overhead the casket before it is sent into the grave, and that among family members, the wake should be the last to pass thru the door of the house on the burial day. During wedding, there is a ton of superstitious beliefs Filipinos are observing. Among of those are that siblings shouldn't marry within a year of each other as it will be a “sukob” which means bad luck, that the bride must not wear or fit her wedding gown before the day, and that after the wedding, the groom should bring her bride back to his home (they call it “dapit”). 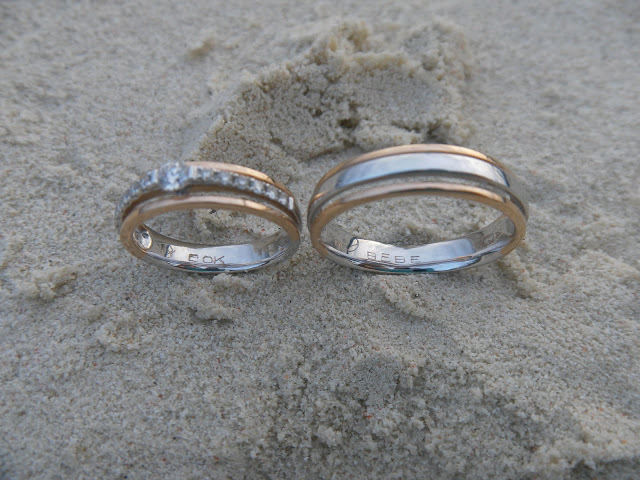 Wedding rings plays an important part in the Filipino Christian weddings. It is believe that wedding rings are symbol of bonding of a man and a woman and it is worn on the fourth finger of the left hand. As the rest of the world probably knows, Filipinos have more Halloween characters than any other countries. We have here the tigbalang, manananggal, kapre, duwende, impaktita, tiyanak, bampira, aswang, and more. There are also devilish practices. We have here the mambabarang, mangkukulam and ispiritista who can perform “gayuma” and “kulam”, both of which are acts of the devil. In almost every province, there is a superstitious belief that is unique among others. This is probably because of the geographical landscape of the Philippines. Some beliefs are based on tribal rituals. Many are creations of the playful imagination. We know that we Filipinos were influenced by the Chinese with their customs and traditions. Many of us then believe on Feng-Shui or “Punsoy” in local term. Those beliefs that you should arrange your furnitures or build your house based on calculations and measurements of the invisible forces, it has been here for decades. Chinese astrology, we’re very inclined to this. There are the so-called “fortune tellers” who use cards and astrological guides. And the celebration of the Chinese New Year with a bang, Filipinos are crazily into it. So it is common that you’ll hear a Feng-Shui master on the national TV giving his or her advises to the Filipino households as the Chinese New Year nears. 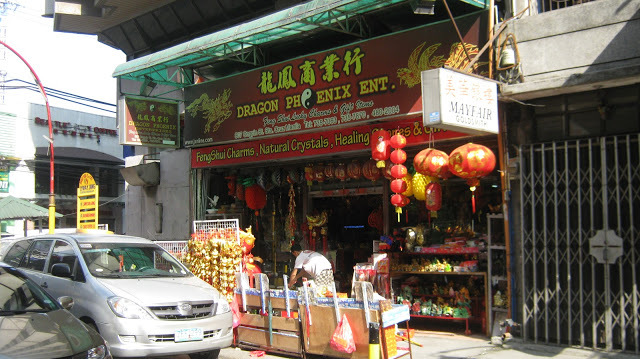 Chinese stores selling Feng-Shui products are everywhere in the country. For some Filipinos, "punsoy" can lead their lives to peace and prosperity. The fact that we’re not Chinese and we closely believe in their traditions, quite unimaginable. In a sense, Philippines is geographically close to China. Even products made in China, with characters we couldn’t understand, are everywhere in the country. So if you see fireworks exploding in Philippine skies on January 1st, that’s a by-product of our beliefs to China’s traditions. In the shelf are Chinese figurines for sale as the Chinese New Year draws closer. Most of these are based from Chinese astrology - dragon, rabbit, horse, pig, etc. This one is quite hard to believe, even to swallow, but many of us believe that white people should be highly respected when they step on our soils. Allow me to explain this by citing a few observations. From our international airports, there is an atmosphere of high respect to Westerners arriving in the country. Well, you may not have been noticing it, but I do. In a perspective of hospitality, there is nothing wrong with that. Guards, crews, officers or management people politely say “Welcome Sir”, “Hello Ma’am”. We’re hospitable anyway. But the belief that these visitors should be treated in a more sophisticated manner, is something thinkable. Here’s what’s going on. Aside from the color of their skin, Filipinos believe foreigners have the money to share as tip or extra pay. Posted randomly, this photo shows Western people. In the Philippines, Filipinos are used to showing exceptional level of treatment whenever they arrive here - a treatment we can link back to the Westerner's colonialism of the country. When they ride on taxis, they may pay higher than usual. When you assist them in carrying their bags or luggages, they may offer you dollars as an act of courtesy. There is one big thing you need to know and it’s true. Still, a lot of Filipinos see Western people as a race of the higher order. Perhaps, this example can prove that. If a Filipina can become a friend of a white Westerner male, Filipinos believe that the Filipina is sure to find good luck. No offense, but ever wonder why white Western males love Filipinas? Much more when she get engaged or married with the white guy, she can fly and live to the land of milk and honey. Could that be just being practical or is just about the natural product of love? But why such belief? There is a deeper reason. Fact is, we were colonized by the Americans and Spaniards for several hundred of years, and since then, we became their number one fan. We experienced abused and at the same time a taste of flavorful colonialism. We choose to dress like them. We speak like them. We listen to their songs, we watch their games, and we act as if we’re the same. We want to be like them for this belief that Westerners may give us that once in a blue moon opportunity to live a better life. While not true to all, that’s what some Filipinos were made to believe, even to these very days. 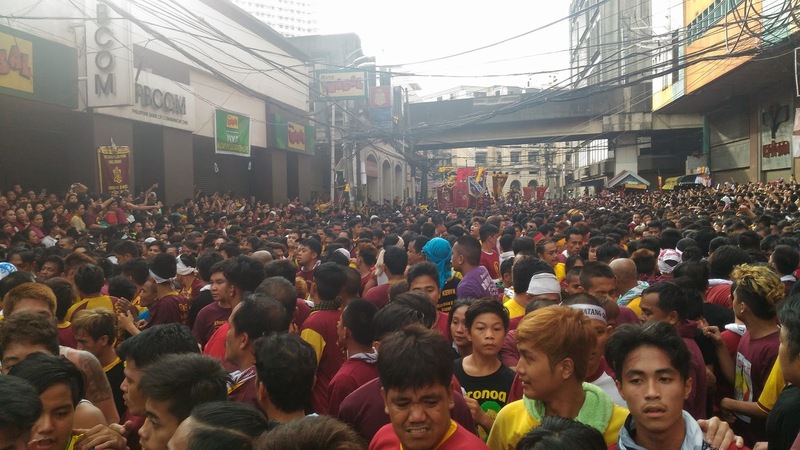 In the month of January, millions of Filipinos gather together in Quiapo, Manila to celebrate the “Feast of the Black Nazarene”. We call it here “Traslacion”. It is a long day celebration, even overnight as a matter of fact. Believers are attending the procession on their feet as a gesture of sacrifice and at the same time a belief that the “Poong Nazareno” will answer their prayers or guide them better on their lives. The Black Nazarene is Jesus Christ, son of God, the God of the Christian Catholics. Describing the day of feast is somewhat hard to imagine. Its full-packed, chaotic but very uplifting. Filipino people attending this feast are believing in miracles. Many have shared their stories of miracles - healed cancer, changed their dark lives into bright ones, achieved their goals, and became rich or famous in a way. To convince one to turn his back on this belief would be impossible at all. But what’s real in this event is that it is taking lives, if not wounded “mamamanata” or devotees year after year. All attendees have their prayers answered? I don’t think so, but what they’re saying is that there is the next year. You can verify it for yourself. This is the carriage of the Black Nazarene where devotees used to climb into believing that miracles can happen to their lives the moment they touch the statue. We Filipinos believe in miracles and live by it. In a nation vulnerable to typhoons, flooding, and hot weather conditions, we pray together hoping that God will save us from certain casualties and death. Miracle is not impossible to happen, for a believer of God. But if you’re dependent on it, in your whole life, couldn’t that be wrong? We’re praying to the saints, and Jesus Christ and to Mama Mary Mother of Christ, and yet we keep on experiencing catastrophes year after year. Massive residential fires in the summer months, community flooding during rainy days, and devastation whenever typhoon hits. And yet we pray hard and believe that we will be safe. But it ain’t. Miracles could have happened for some, but not for many. Could not it be the unpreparedness, lack of knowledge, and lack of discipline that make our prayers unanswered? Well, on the other hand, miracles brought about by foreign aids, disaster reliefs, and recovery packages are coming in to the Filipino people. But where is that belief that educating and convincing ourselves to stay prepared and settle somewhere safer is way way better than waiting for miracles? Many believes in President Rodrigo Duterte's political will to change the country for good. While there are many who opposes his style of leadership, the president is believe to liberate the country from the havoc of illegal drugs, corruption, and criminality. You’ll often hear this from scammers if not the old folks who live their lives on believing on “sabi-sabi” or hearsays. In street terms, you’ll likely to hear the “kwentong barbero” (barber's story) which is about unproven events or stories (some call it urban legends) which a few of us used to believe and even spread the news out. 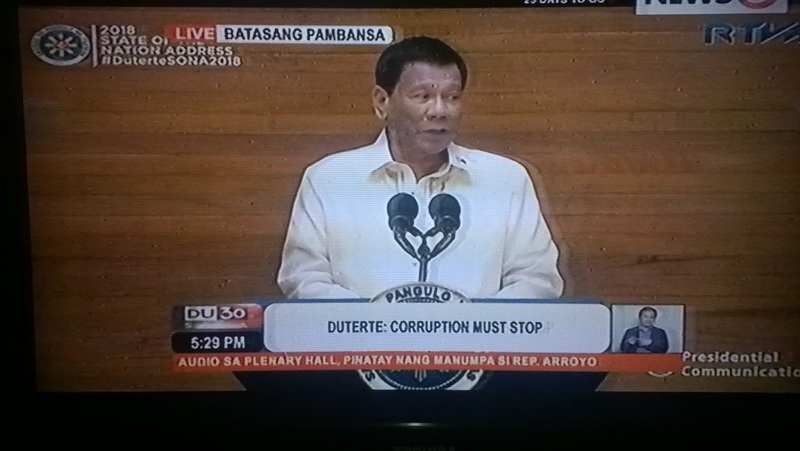 Much more that we believe in “mga pangakong napako” (failed promises) of the politicians during campaign periods. And we believe that the next lottery winner would be the person holding the ticket. 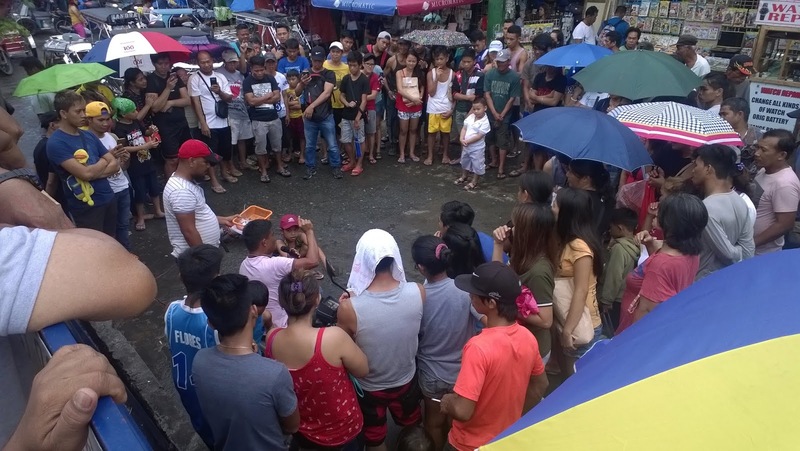 In this photo, you'll see Filipinos in crowd witnessing a demonstration of a product that will keep snakes away. 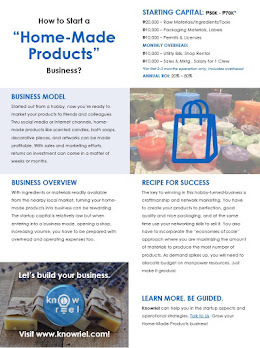 While the product's effectiveness has not yet been proven by the experts, Filipinos are easily convinced it is effective. As this post nears to an end, I want to draw a conclusive thought that may change the way we carry on with our beliefs. Anyone of us can examine a belief system, and if necessary, walk away from it. Catholicism is a religious belief based on faith. Millions of Filipinos are Catholics. 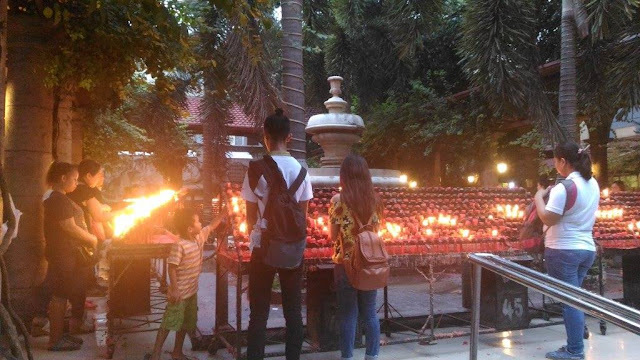 Filipino youths are introduced to this religion guided with the belief that they will learn to accept God early in their lives. To believe in God is one of the best gifts we ever had as humans, as Filipinos. The same way God wants to test our faith on him, God wants us to test our beliefs on anything. If we believe into something, and afterwards it didn’t work after a few tries, maybe that’s a sign from God we need to stop believing. Whether it’s the promise of a political leader, of a faith-based organization, or of a well-dressed sales agent, we need to measure arms-length those promises before we believe. There is nothing wrong with believing in the Black Nazarene or with faith healers or with promises of our leaders, for as long as it doing great in our favor. What is obvious is that many of us has been fooled over and over again by our false beliefs, yet we continue to believe. For this to be avoided, we must teach ourselves. While part of our lives relies on luck or miracle, our actions will always speak louder than our beliefs. That belief is what I am certain of. This article is written and publish to create awareness. It is not the intention of this post to induce hatred, single out a belief system, or judge anyone by their acts. 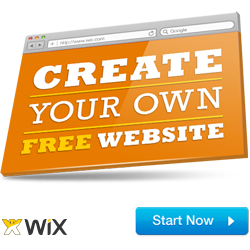 What this post promote is that action to examine beliefs and do adjustments as needed. All belief systems are respected in this article. If you feel that this is not the case, please feel free to leave a comment or email the author, Noriel Panganiban. Rest assured that he will take immediate action. 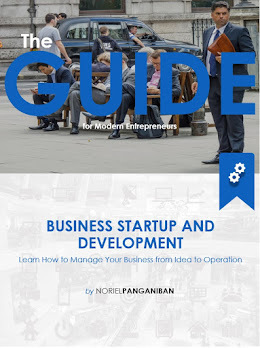 Noriel Panganiban is an advocate of free education in the Philippines. 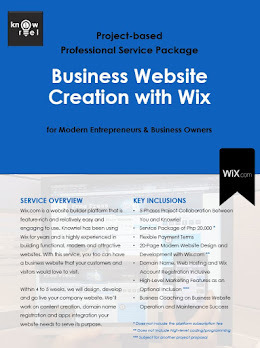 He is the founder of this website, ProjectPilipinas.com, and Knowriel.com. Noriel believes that with proper education, guided by reliable leaders of the land, the Filipinos will soon have their first-world country. Project Pilipinas is Noriel's small contribution to achieving this goal.